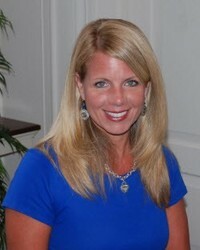 Kimberly Morrill joined the JHBC Staff as the Church Pianist in November, 2008. She is a native of Sanford and was privileged to have been raised in a loving Christian home, accepting Christ as her personal Savior at the age of seven. Kimberly is married to Scott and is the mother to Connor and Reagan. She loves spending time with her family and being involved in all her children’s activities. Kimberly has a passion and appreciation for music from all types of genre. She took piano lessons from the age of six throughout high school and went on to minor in music from NC State, emphasizing in piano performance. She earned a Bachelor of Science in Business Management, with a Concentration in Marketing in December, 1997. Kimberly feels blessed to be a part of JHBC as a church musician and is grateful to have an opportunity to utilize God’s talent in order to glorify Him! She acknowledges music as a prime method of ministering to each and every one of God’s children!